Do You Need Replacement Auto Parts for Winter Driving in NYC? Looking for Cheap Used Auto Parts for your teenager’s first ride? “Precaution is better than cure, “ does this saying apply to your car brakes maintenance method? Typically, car brakes come in many forms such as a drum, disc, anti-lock and emergency brakes and whatever your auto have, obviously, well-maintained brakes will refrain you from experiencing accidents that might freaks you out. Lastly, make it a habit to check your braking system (pads, fluid, rotors and brake shoes) as these parts are needs to replace every few years or so. Now, worn out brakes that need to restore? Visit New York City Auto Parts and salvage brake parts that work just fine in your car. Or call at 718-297-9797 to have a quick response. Accidents are inevitable. One of the most common is car accidents that can cause severe damage to the car itself but also to someone’s life. And worst, death. Good thing is,most of the accidents are minor; however can leave damage especially to the outside of your car. Many of the cars now are insured and they do offer body shops that they are affiliated with. But you have all the right to choose which body shops you wanted to seek help with. Be sure to go to refutable ones offering low cost but of high quality. You can check the Internet or ask from your friends about their reputation. Use your keen eye for this area. Paint color can be deceiving if you are close to your car. Make sure to view your car ten feet away to make sure that the paint really matches the original color. If not, then additional changes should be made and make sure that you feel satisfied before leaving the auto paint shop. When you pick up your car upon finishing a body repair, make sure that there are no warning lights indicated on your dashboard. These warning lights may include engine light, air bag light, coolant, or safety doors light. In an event of an accident, these warning lights are triggered and detected by the car’s computer system. Your car’s built in computer needs to be reprogrammed to cancel these warning lights. Additional electrical components may include in fixing this problem. It’s better than driving home worry free. If you are looking for used quality original auto parts, please visit us at New York City Auto Salvage and Glass. Contact us at 718-297-9797. We will look after you! Will you go for Manual or Automatic? For your car to be able to get from point A to point B without having to stay trudging along in first gear, it needs a working transmission. The transmission allows the vehicle to change gears, thereby transferring power from the engine to the drive axle in the most efficient way possible. It does this by varying the gear ratio. In lower gears, this increases available power while reducing speed. Higher gears, on the other hand, reduce power and increase speed. This enables cars to distribute power and speed in the most efficient way for any given situation. Now here is the difference between the manual and the automatic transmission. Easier to use. Although there’s nothing inherently difficult about shifting gears and working a clutch, it still takes a bit of practice before most drivers are comfortable learning to use each of their limbs independently to control a manual transmission vehicle. Automatic transmissions, by comparison, are much simpler and take drivers significantly less time to learn. Less manually restrictive. Most new drivers are taught that the safest way to drive is to keep both hands firmly on the wheel always. This is possible when driving an automatic transmission vehicle, but is not possible with a manual transmission. Better for hilly areas. If you’re a less experienced driver, you may find that navigating steep inclines in a manual transmission are difficult, especially if you’re attempting to do so from a dead stop. Automatic transmissions take care of this issue, enabling your car to operate efficiently no matter how steep the hill might be. Greatly reduced the risk of stalling. There are few things more embarrassing and awkward than accidentally stalling your vehicle right when the traffic light changes. This isn’t a common problem for those driving automatic transmission, where stalling will only occur if there’s a mechanical problem in the vehicle. Easier to use in heavy traffic. Overall, more work goes into starting, accelerating, decelerating, and stopping manual transmissions. This isn’t normally a problem, but in heavy traffic where a car can get up to speed, drivers may notice that the constant starting and stopping becomes a difficult chore. Automatic transmissions allow the driver to move through heavy traffic without having to do more than push a single pedal. Less expensive to purchase. If you’re car shopping on a budget, then there’s really no contest between the manual and the automatic. On average, a manual transmission will cost you about a thousand dollars less than an automatic of the same model. Cheaper to maintain. With all of the added machinery that goes into the automatic transmission, it can end up costing you more money for its maintenance. Manual transmission cars require very little maintenance, and generally maintenance and repairs end up being significantly less costly. Better fuel efficiency. Overall, manual transmission engines are less complex, weigh less, and have more gears than automatics. The simpler it is, the lesser its likely to consume fuel. Manual transmissions have been known to save drivers between 5% and 15% on their fuel costs. Less likely to be stolen. Your wannabe car thief should be a car geek at some point. Now with new generations of modern cars running around, stealing a manual car will be enough to deter the car thief. It is hard to steal a manual transmission car. Better control. Automatic transmissions are designed to choose the best gear for any situation, but they tend to err on the side of caution, shifting to too high of a gear and wasting engine power. Manual transmissions give drivers greater control over the vehicle. 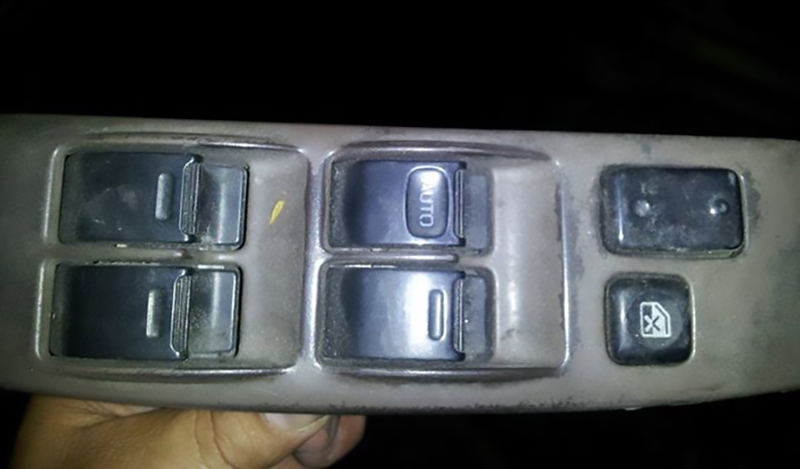 If this one helps you to decide whether to choose a manual or an automatic transmission car, New York City Auto Salvage and Glass can help you. We buy and sell a wide range of manual and automatic cars that might suit your needs. Just give us a call at (718) 297 9797. We will give you a hand! Buying used auto parts has its many perks. Salvage yards are one of many great places for you to purchase these parts. The main benefit of purchasing salvaged auto parts is the price. This is the primary reason why many consumers nowadays choose to buy salvaged parts rather than pay expensive prices for new parts. Generally, you can find used auto parts for a fraction of the cost of a new part, sometimes saving as much as half the price of what you would normally pay. Purchasing used auto parts also helps reduce the need to have more new parts manufactured, meaning it also helps conserve our resources. This, of course, helps save materials that would be used to make the parts, as well as reduce the amount of fuel such as electricity that is also needed to manufacture new parts. 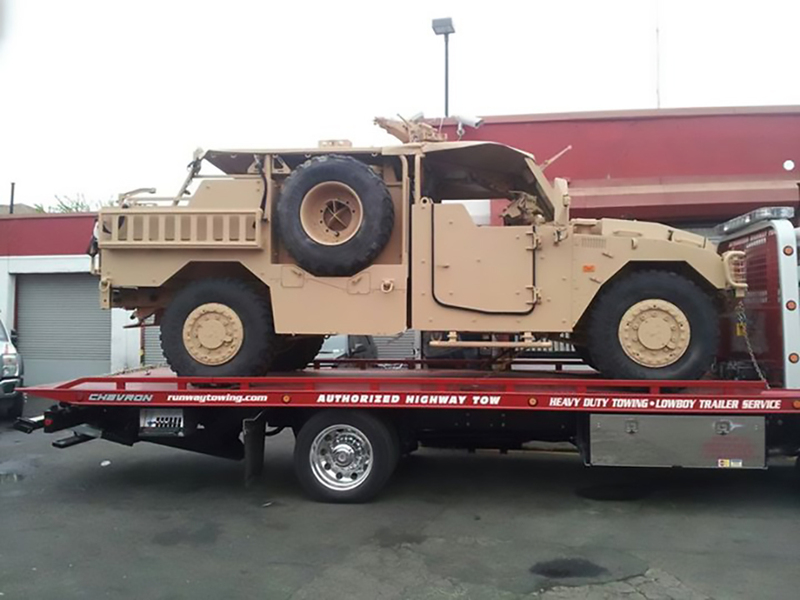 In addition, salvage shops offer a wide range of parts and brands to choose from. Literally, salvage shops got what you are looking for. Some salvage shops also take your old part for a discount on the part you are buying and re-manufacture it for re-selling. So as you can see there are many reasons why it is more beneficial for you to purchase used auto parts when repairing your car in a salvage yard. Not only it is a great way to save money, which everybody loves, but also an excellent way to conserve our energy and help mother earth. If you are looking for a quality used auto parts, then you are in the right spot. 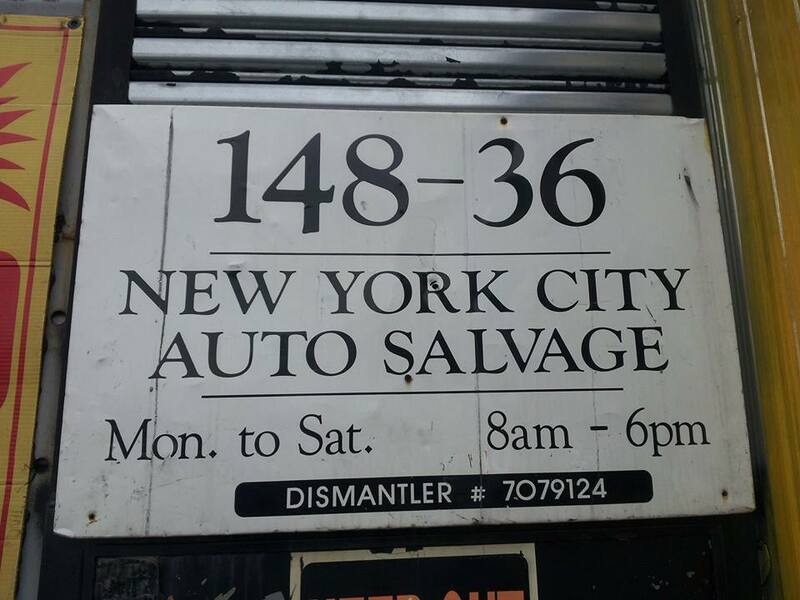 At New York City Auto Salvage & Glass, we provide a wide range of car parts for sale and models to supply your needs and yes, we offer free delivery for your convenience. 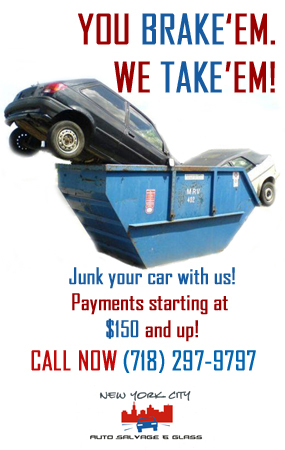 We also buy junk cars around New York City area and the whole United States. So you woke up in the morning and once you started your car the engine won’t start. What could be the problem? 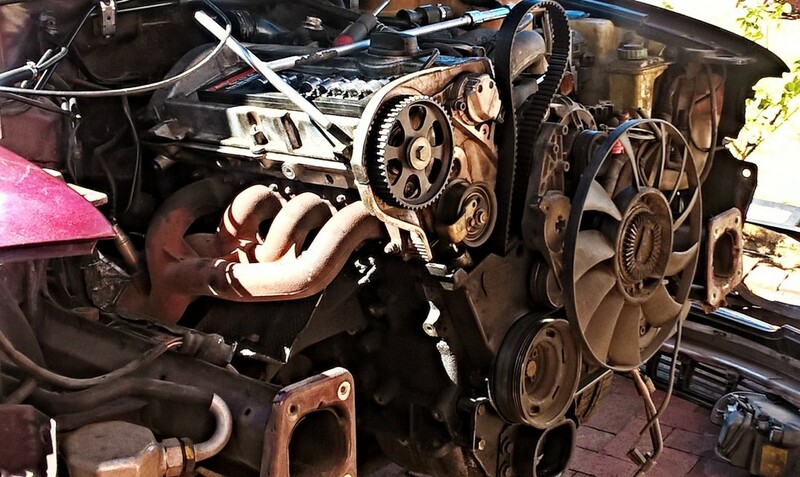 As an engine acquires mileage, the likelihood of having engine problem also increases. The basics of common engine problems are overheating engine, an engine that doesn’t start, and service engine lights. Beyond that, minor things can cause major problems. It is important to pay attention to your engine when it needs servicing. It is the heart of your car. Most of the modern cars that we are using nowadays has temperature gauges that measures the level of how hot the engine is. Coolant level may affect the car’s temperature. A low coolant level can cause the engine to overheat, thus, low water level from the radiator. If you see a warning light indicating increased temperature from your engine, have a stop; check your water or coolant level. But be careful. High pressure may burst and can cause burn injuries. Overheating can cause expensive engine repairs but you see, maintaining the coolant and water level is the simplest way to prevent it. Furthermore, leaking or busted gasket heads may also cause overheating. Another indication of overheating is coolant lose or white cloudy smoke exiting from the hood. When you see these, have a pit stop. Another problem commonly encountered by drivers is a dead engine; a non-starting engine. It may be caused of two main problems. One is flat battery. This happens when you click your key and nothing happens. On the other hand, if the engine starts but not continuing and eventually dies, the problem is the fuel or the ignition. Furthermore, a dead engine may also be the reason of corroded battery cables, starter motor fuel delay, clogged fuel filter, or ignition switch failure. These problems may be prevented through routine check-up so be sure to check the inside of your car regularly. Our cars now are smarter than we think. Most modern cars detect malfunctions and have sensors that troubleshoot problems. Whether its low fluid levels, emissions, or powertrains it does the job. It alerts the drivers for future repairs. Aside from that, it also may indicate low compression or compressed air levels, faulty electrical issues, or missing gas caps. Just make sure when you see the warning have a thorough look about it. 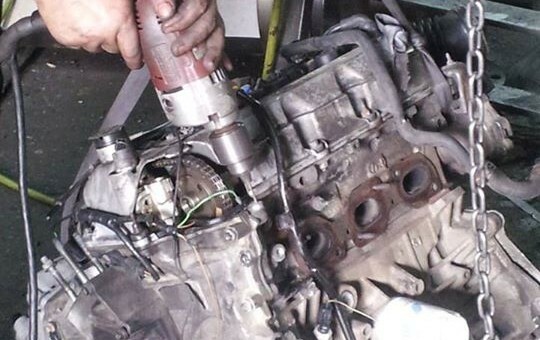 If you are experiencing any of these and want to fix the problem the cheapest way, why not consider going to New York City Auto Salvage and Glass, we have a wide range of engine parts regardless of the make and model of cars. We sure we got what you need to fix the problem. If you have any questions and inquiry just dial (718) 297 9797. It is a fact that every one of us wants to have a car of our own to take us everywhere on the road. Then if we put this to the next level some of us has that passion of restoring a classic car not only as a project but a priced possession to roll down on the road with pride. Furthermore, in doing so, there are some factors that need to consider in restoring a project car. It may take months, maybe years or thousands of bucks but is sure worth it once its finish. 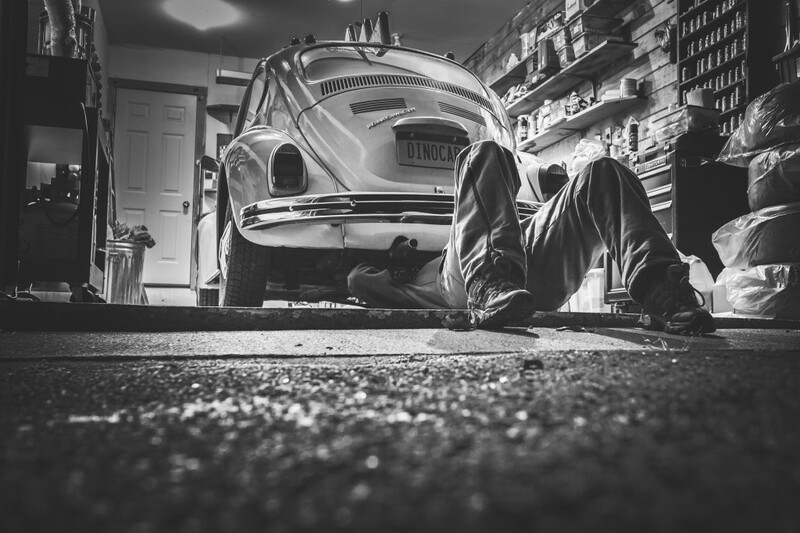 Here you are the 5 basics to car restoration. Look for a car that runs. Buying a car that starts and running saves you more time and expensive mechanical repairs. If you buy a non-running car it is more likely to be expensive for your restoration and it will take more time just by looking for the parts alone. You might be needed to build a new engine but in the best chance possible that you will find a running car it might only take few part replacement and you will be alright. Find a car that has a good value. There are many cars out there that can be restored but the value of the cars might be different even if it’s restored. Research and look for a car that has a potential not only as the car itself but also a market potential. You can never really tell, your project car when finished might be the next big thing! Rust could be another problem. This is one of the hardest problem in car restoration, rust. You may find out that some parts or the chassis of the car you are restoring has been eaten by rust. It may take a long time to repair and cost a good amount of money; depending on how rusty is your chassis. You might need to cut the sections, fabricate, and weld new metal plates to strengthen the affected part. If you are lucky enough to find a new chassis you might use that and build your car on the newly found chassis. Parts should be always available; it’s a must on restoration. This might be the another problem, the availability of parts. If parts are not available, it may hinder your restoration and hold you back and delay your restoration. Salvage yards like we New York City Auto Salvage and Glass has a wide range of cheap used auto parts that can help you on the parts you need. This ensures your project goes smoothly. This also secures you budget and you can save more on parts. Ask for an expert advice. It will be very handy of you know someone who knows about restoration or someone who did a restoration to give you some advice on your project. If we go back to number 1 choosing the right car is always the good start. Feedback coming from an expert’s point of view is a saving tool from hiccups on your restoration. So there you go the 5 basics to your project car restoration. It may take time but it will pay the price once it’s finished. If you are looking for parts for your car, why not visit New York City Auto Salvage and Glass. Contact us at (718) 297-9797). We will look after you. Remember the old days that we use the traditional yellow page directory to look for services and information that we need? Now in the digital era, everything is one click and touch away. Everything can be researched through the internet in our computers and smart phones. It is very convenient and one you may come across are Salvage Yards which we will talk about in this article. You will never know what you can get from a salvage yard. 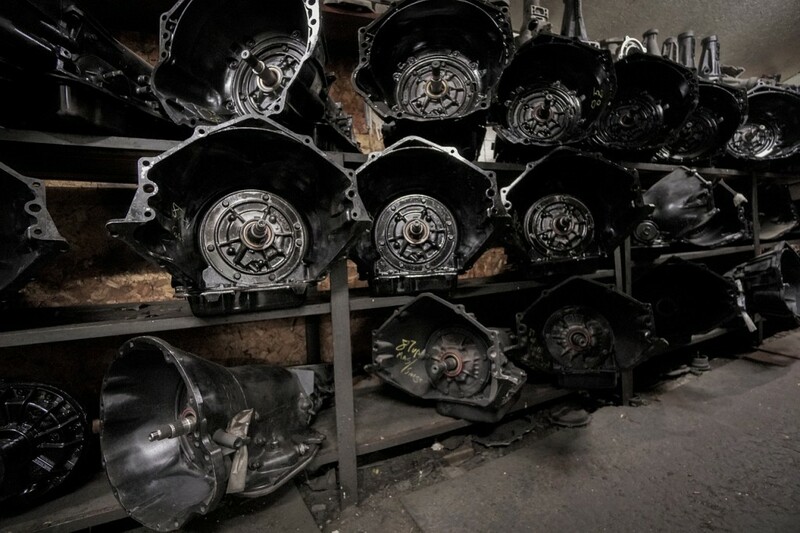 A salvage yard can offer a wide range of brand, make, and selection of parts that you need. It is called a bag of treasure because you can find valuable parts for such a cheap price. It is also a place for hard to find parts when you are restoring or owning vintage cars. Based from personal experience I have come to a salvage yard and I wasn’t really expecting to find the part that I need but I’m really desperate so I did give it a try. I was looking for a front bumper of a Mitsubishi Sedan and luckily out of nowhere I found one. It is also the same color that I need for my car. I got it for only $30.00 would you believe that? In authorize service centers it may cost around $100-$200 and triple the price from salvage yards. I ask the man who owns the salvage yard and he told me that the part that I purchased comes from a car that recently junk by its owner because it was involve in an accident, luckily the driver was not harmed and the damage part of the car is from the rear the reason why the front bumper has been saved. That is why I have it now. Salvage Yards also work by paying cash for your junk car or you can sell parts in case you have some stock after replacement it’s another way for cash back. If you think that Salvage Yards are the best alternative way for buying parts, give New York City Auto Salvage and Glass. Here is our contact number (718) 297-9797. You can also find us on Facebook just type our name. Catch ya! No matter how we care for our car, the day will come that a bad day will happen and we need to do some repairs. Sometimes the worst case happens when you have to have a major repair. Because we love our car so much, we will fix it and do the repair but it’s so expensive. To give you a quick list, here are major car problem and repairs. What car runs without an engine? Every car needs one. For you to run your car you need a fully functional engine. An engines performance is measured by mileage not commonly by age or type. It is suggested that if your car already run more than 150000 miles it is good to rest. A new car engine may range up to $1000 to $4000 depending on the engine model. Furthermore, engine parts are generally expensive and salvage yards are considered to be a good alternative. This is what ensures a smooth ride in a vehicle and helps the driver manage the car. When the suspension or steering system isn’t working properly it can be very dangerous. The steering and transmission system ranges from $250 to $500. For many people when their car’s transmission stops working it’s the most stressful. A car can’t function at all when there’s a significant problem with the transmission. 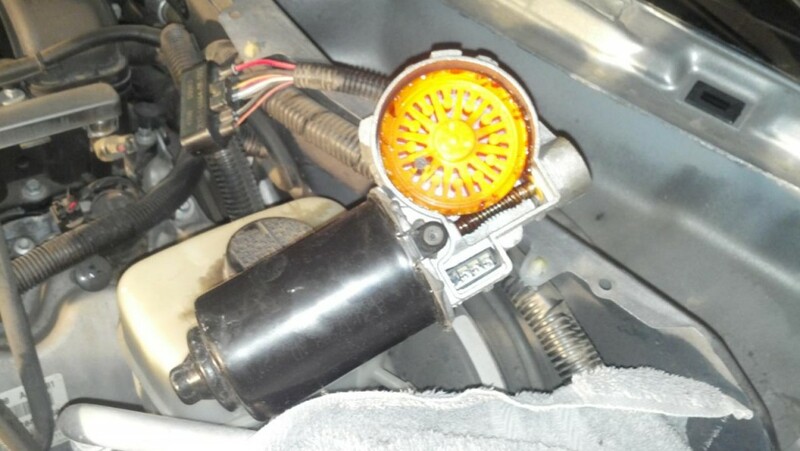 Usually, transmission is caused by old transmission fluid which is commonly ignored. Transmission issues may cause you a major $2000 to $3500 for replacement. Ouch! Many times when these systems malfunction, car owners will get a hold of replacing them because they are so expensive. The price for a new compressor varies between $200 and $600 which depends on your brand and model, the repair shop you seeks help with, and of course, the cause of malfunction. But as we all know, not having these systems can make your driving journey uncomfortable as these systems provides cooling and heating depending on the weather condition of the outside environment. If your car needs any of these replacement parts, it’s often best to find used options. Used car parts mean you can enjoy reliability and quality, but with a lower price tag than you’ll find with new car parts. 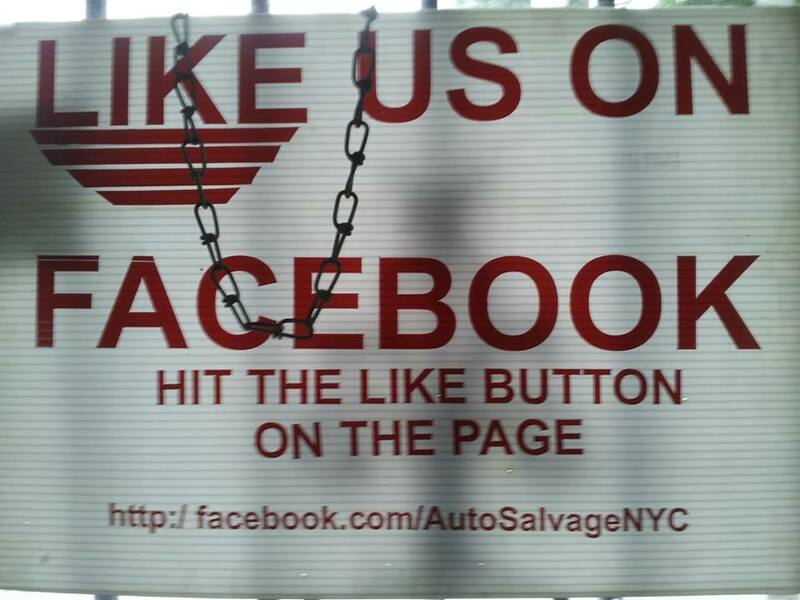 New York City Auto Salvage and Glass has one of the area’s largest selection of top quality used car parts. 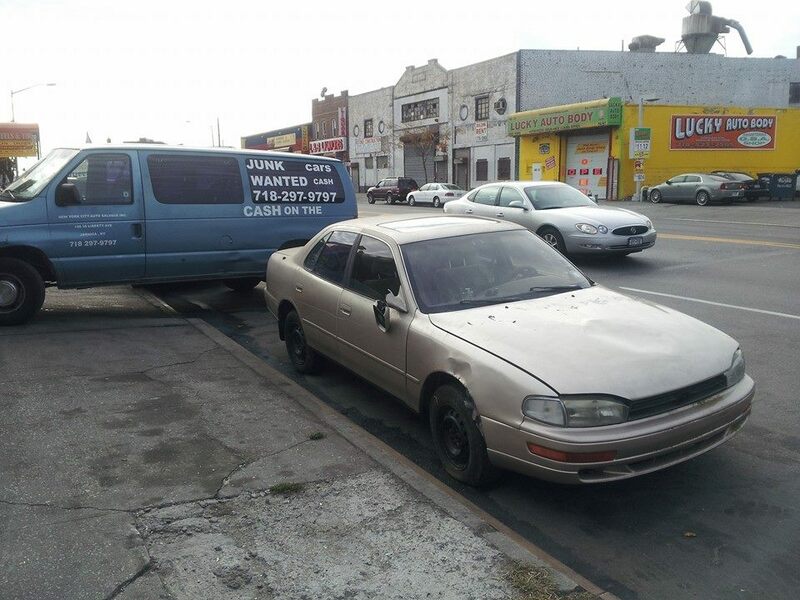 Call 718-297- 9797 to see if they can get your car back in proper working order. You can also follow us on Facebook to see what our satisfied customers have to say about our selection of salvage parts.